RIYADH (Reuters) -- Global carmakers are likely to see consolidation in the sector as a decline in sales accelerates in 2009, Renault-Nissan CEO Carlos Ghosn said. 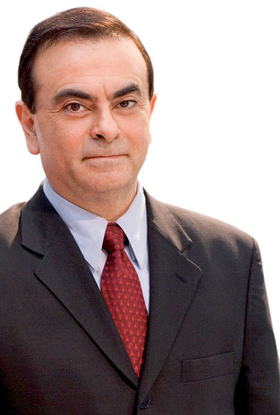 Ghosn said he expects new-car sales to fall to about 55 million cars this year from 63 million sold in 2008. "Car sales in 2007 were 69 million; in 2008 they were at 63 million. In 2009 ... we can go to 55 million cars. Over the past few weeks the trend points to 55 million," Ghosn told an economy conference in Saudi Arabia on Sunday. "There is absolutely no doubt that we will see a consolidation," he said without being more specific. "Two thirds of cars sold in the world are based on personal finance ... we are the first victim of the global financial meltdown," he added.